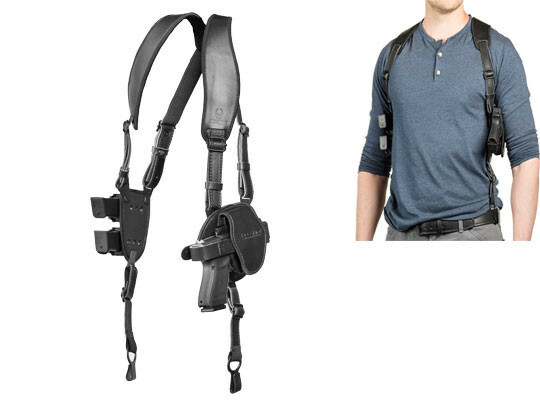 A Glock 43 shoulder holster is one of the best ways to comfortably and securely conceal and carry a whole lot of firepower in a compact package. The catch, of course, is that you have to find a good shoulder holster to do it with. So many aren't comfortable enough to carry regularly, don't actually conceal well without wearing a parka and not all fit the pistol very well. 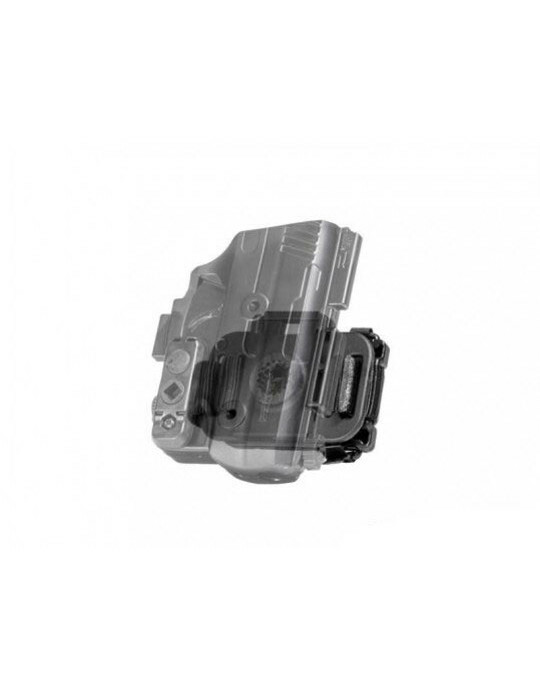 Alien Gear Holsters specializes in creating carry holsters that will actually be usable. 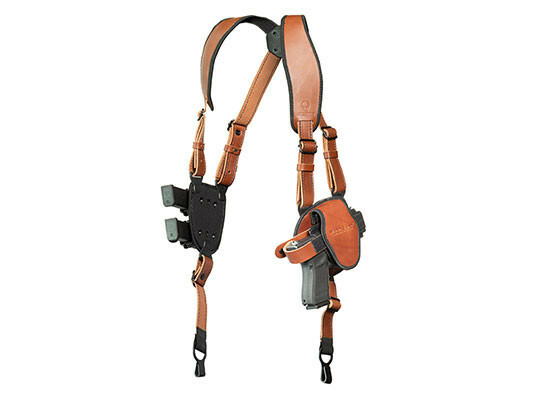 This shoulder holster for Glock 43 carry is designed to carry comfortably, to conceal easily and to hold the pistol in a manner that will allow you to carry with confidence. You'll notice the straps are joined by a clover harness. 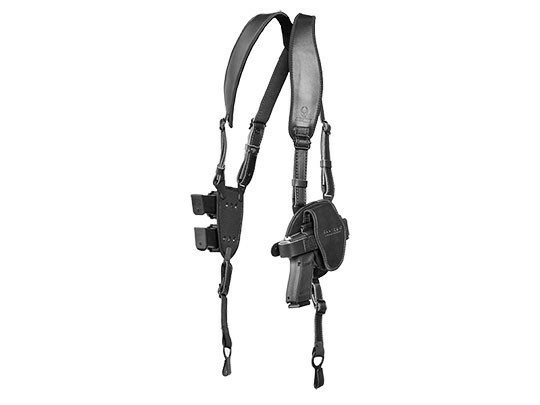 This lets the shoulder holster articulate and find a natural resting point. 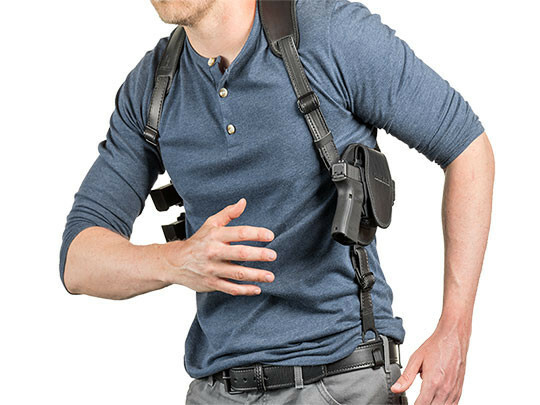 The shoulder straps are padded with our CoolVent neoprene for greater comfort while carrying, as is the holster base and magazine carrier pad. 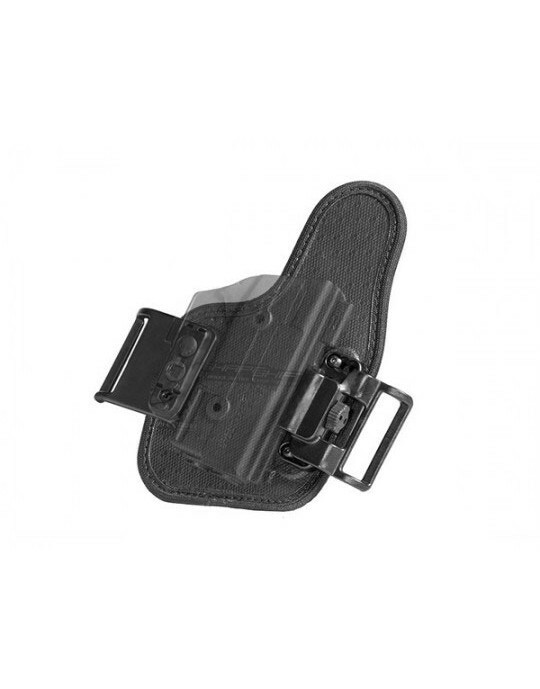 The belt hooks anchor the shoulder holster to the belt, distributing the weight over both the shoulders and pulling the gun tight to the side for easy concealment. You can adjust the straps to find the correct setting for you. You'll also be able to adjust the ride height and grip cant of the holster. 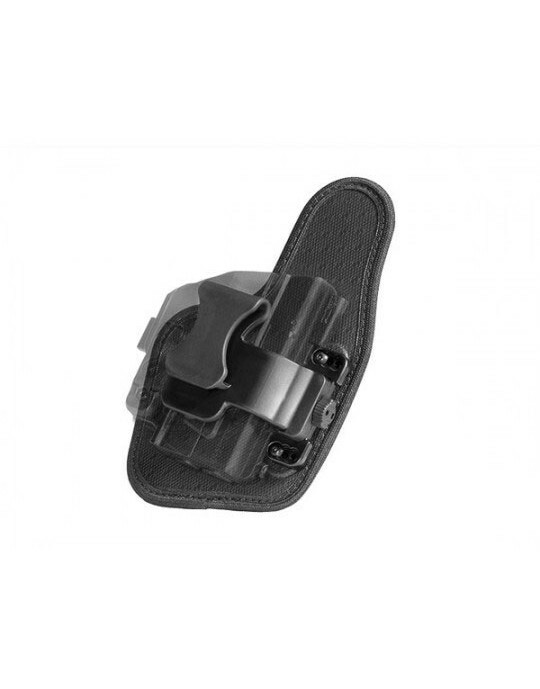 Set it high, tight and horizontal, or set it down toward the belt and carry as a Glock 43 vertical shoulder holster. 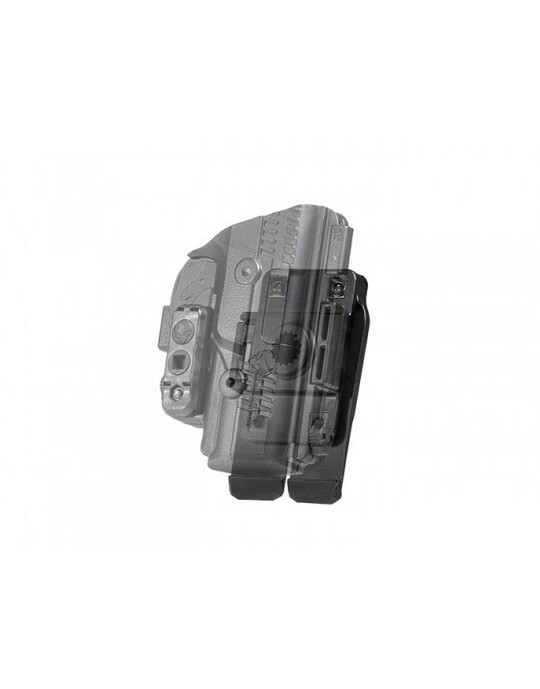 The holster itself is the ShapeShift shell, which is custom-molded for the Glock 43 and fully wraps the trigger guard for greater security. You can dial in the passive retention exactly how you want it set. You can also elect to carry with or without the included thumb break strap. 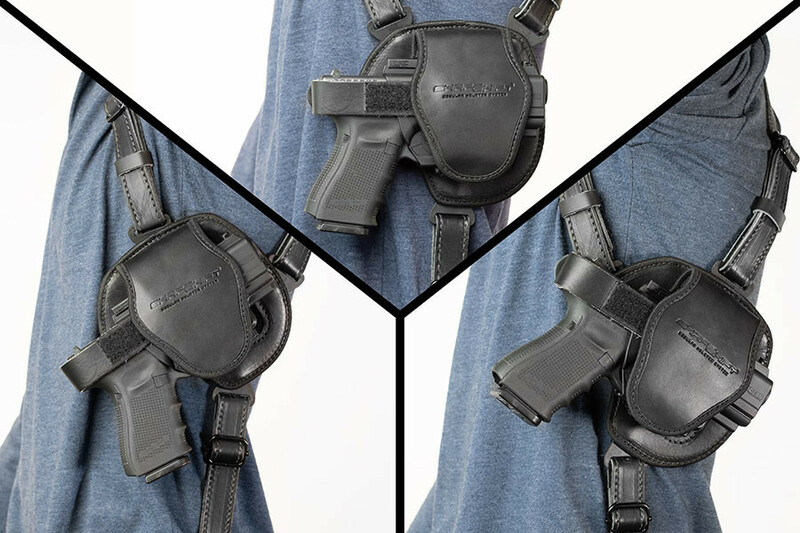 No other Glock 43 shoulder holster gives you this much customizability. 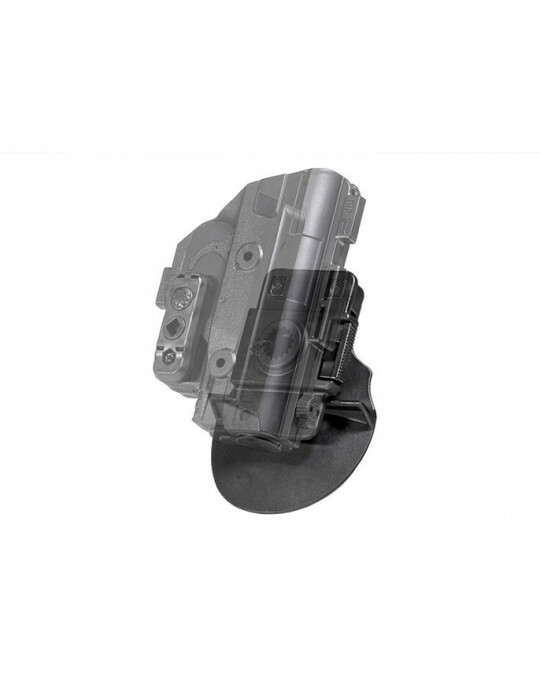 No other holster maker gives you the same guarantee as Alien Gear Holsters. Our Iron-Clad Guarantee includes a 30 Day Test Drive, and during that time you can return the holster for a full refund if unsatisfied. 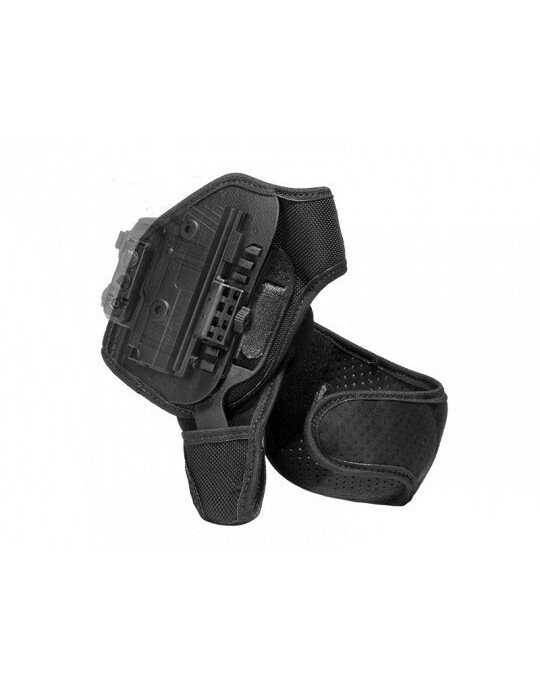 You also get a full and comprehensive lifetime warranty on the holster. 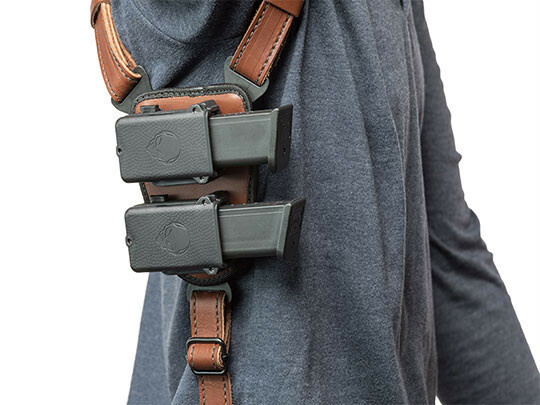 If you want to conceal and carry comfortably in the shoulder position, get your Test Drive started, and see just how easy it can be.